Over the past few years machine learning has continued to prove its worth to enterprise. Over 70% of CIOs are pushing digital transformation efforts, with the majority of those focusing specifically on machine learning. Almost the same number (69%) believe decisions powered by data are more accurate and reliable than those made by humans. Still, some companies struggle to get value from their machine learning processes. They have trouble finding talent, and their projects are slow to reach ROI. The problem isn’t with machine learning – it’s with the company’s approach. Sometimes companies get so caught up in new technology that they forget what business they’re in. They don’t need to build complex data science systems or experiment with new types of algorithms or push machine learning as a science forward. What they need is to extract actionable insights from their data. Companies should be aware of and maintain their data infrastructure, but that isn’t their primary focus. Their focus is running their core business. However, the majority of companies approach machine learning with a misguided idea of what makes it work. They assume their specific business needs mean they have to start from scratch, to build a machine learning solution from the ground up. These companies get bogged down by mechanics without enough thought for how the output will be put to use. As a result, they wind up building the wrong kind of infrastructure for their machine learning project. One common place this flawed infrastructure shows is in the type of talent chosen. Companies go straight for high level data engineers who build machine learning software. That’s a large – and often costly – mistake. In an enterprise context, data engineers aren’t as useful as applied machine learning experts with experience in turning data into decisions. Imagine a business traveler looking for the fastest route to a meeting in a new town. Would they have better luck getting directions from a civil engineer or a taxi driver? The civil engineer knows how to build functional roads, but they don’t necessarily know a specific city’s streets or layout. The taxi driver knows how to use the streets to get results: arriving at the meeting in time despite traffic, construction, and seasonal issues. This might sound like a silly example, but it’s exactly what businesses do when setting up machine learning programs. They focus too much on the “how” (building data systems) and not enough on the why (what business goals the system needs to fulfill). In other words, they think they need civil engineers when what they really need is a good seasoned taxi driver. The result is wasted resources and higher program failure rates. A big enough failure can also risk future projects when leaders blame the technology rather than the flawed execution. There’s a very good reason why otherwise smart people make mistakes with machine learning: it’s complicated. Artificial intelligence and machine learning are incredibly complex topics with thousands of subdisciplines and applications. There is no “catch all” job description for someone who can do all kinds of machine learning. Those few people with experience in several phases of the data-to-decisions pipeline are high-level, in-demand experts who very probably won’t take an average enterprise position. On top of this, executives aren’t always sure what type of talent they need because they aren’t clear on what their data science needs are. They hire data engineers, give them vague directions to “increase efficiency”, then get frustrated when they don’t see results. Even the best machine learning system can’t create value without working towards a goal. Laying the groundwork for successful machine learning is a case of “less is more”. Don’t get caught up in high-level, experimental machine learning which seeks to advance the science unless there’s a good business reason (and for enterprise purposes, there almost never is). A PhD in artificial intelligence and experimental mathematics is not necessary to run a productive enterprise machine learning program. Instead, find the right experts: statisticians, data intelligence experts, applied machine learning engineers, and software developers with experience in machine learning software. The truth is, most businesses won’t need to build a machine learning program from scratch. There are many tried and tested solutions available that can be customized to fit a specific company’s needs. Better yet, they’ve been tested by others at their expense. These tools remove the need for those high-level machine learning construction experts. Practical talent choices and existing machine learning tools can make the difference between project success and failure. Using them helps companies get to data quality assurance and usable results faster, meaning the project reaches ROI sooner. The project is more likely to succeed, and future projects will have an easier time winning support within the company. In short, don’t hire the civil engineer to build roads when there are several existing routes to get where the company is going. The taxi driver is usually the better choice for the job. Most importantly, remember the core business and focus on tools that support that instead of distracting from it. Always build machine learning systems around business objectives. Have specific issues or opportunities to address with each tool, and be sure everyone on the team understands the goal. When machine learning is treated as a tool rather than a goal, companies are much more likely to see value from their investment. There’s a wealth of machine learning tools out there to use- but sometimes it’s hard to manage incoming data from different software. Concepta can help design a solution to put your data in one place. Schedule a free consultation to find out how! Artificial intelligence isn’t science fiction anymore. It’s an enterprise reality, and there are several market-ready ways for small to medium businesses to get started. There’s a common misperception that advanced technologies like artificial intelligence are only an option for huge, multinational companies. Owners of small to medium businesses (SMBs) have to compete with those companies, but often feel AI is too expensive to invest in at their level. In reality, though, there are solutions on the market that put AI within reach for every budget. 61% of American SMBs think artificial intelligence is something only large companies should do. They think their business isn’t ready for the technology, or that it can’t offer them enough to justify the expense. Industry articles about high profile AI projects usually list six figure costs and talk about budget overruns and delays. That can be off-putting to risk-averse SMBs, who don’t have the depth of working capital necessary to absorb a large technology project failure. A loss that might give a multinational company a bad quarter would threaten an SMB’s future. Tying up working capital in an AI investment is also riskier for SMBs. They need solutions that reach ROI quickly and are affordable in the interim. It’s hard for some to recognize the business value of AI. SMBs have to make every investment count; they don’t want to waste their limited operating budgets on a passing fad. Those who do recognize the potential regard AI as overkill at the SMB level. From the outside- even from the inside sometimes- AI looks unmanageably complicated. SMBs don’t have the time to train their teams on complex data science tools. Sometimes it’s not even clear what tools to choose or where to start experimenting with AI. Hesitations aside, artificial intelligence has incredible transformative potential for SMBs. When resources are limited, it makes every cent and labor hour count. Data driven insights help identify issues before they have a major negative impact and spot opportunities early enough to take action. As the company grows AI lays the foundation for smooth operation at scale. In other words, AI lets SMBs operate with the same level of agility and situational awareness as their larger competitors. It doesn’t take a multimillion-dollar investment to reap the rewards of AI. There are plenty of enterprise tools on the market that integrate artificial intelligence. SMBs can start with these off-the-shelf solutions and build on their successes. The leap from understanding AI’s potential to actually using it in a business context is a surprisingly short one. Here are the easiest ways for small to medium businesses to begin taking advantage of artificial intelligence. Boost internal efficiency with Intelligent Assistants. Using intelligent assistants is a low-risk first step to AI adoption. It’s highly likely that SMBs already have access to some IAs even if they don’t recognize them as such. Siri, Cortana, Amazon Echo, and Google Assistant are all intelligent assistants. Better customer insights and marketing with Smart CRM Systems. Intelligent CRM tools (like Smartforce’s Einstein AI) are a game-changer for SMBs. Now, companies can pull data from multiple sources to create a cohesive picture of their customer base. Sales data, lead lists, social media, email interactions, and more are all combined to help find and keep the most valuable customers. These applications guide marketing automation, too. Smart CRM systems provide the insight necessary for targeted email and text marketing. When messages are sent to those most likely to be interested, open rates and conversions go up. It’s a low-effort way to drive sales. Provide faster, more reliable customer service with Chatbots. Chatbots are available all day, every day. They give customers a reliable point of contact without adding labor and free team members to handle unusual customer issues (or even move on to other high-value tasks). Chatbots can feed data gathered from customer interactions into smart CRM systems, as well. There aren’t any mature general-use chatbots, so this is a tool that needs to be built by a software developer. In spite of that, they’re more affordable than most people would guess. An experienced developer can put a chatbot together relatively simply using platforms like Amazon AI. Make timely, informed decisions with custom analytics dashboards. Enterprise software often comes with embedded analytics for tracking data. The problem comes when companies are trying to juggle several tools that all have their own reporting systems. Once SMBs reach this point, the next step is to have a custom analytics dashboard built. A dashboard pulls data from multiple sources into one place to power data-driven decision making in real time. The live feed provides a window into current and future operations. Instead of wading through pages of reports, leaders can spot opportunities for new promotions or possible problems in time to act quickly. At the end of the day, artificial intelligence has as much to offer small to medium businesses as it does for multinational corporations. It levels the playing field, letting SMBs operate like they have a team of analysts on staff. Don’t be unnerved by AI. Treat it like any other business tool. Start with a small integration, learn what it can do and where the company’s needs lie, and move forward based on business goals. Wondering how AI can help your business? Concepta offers free consultations to discuss where you’re going and how technology can get you there. Set up your appointment today! Airbnb’s business model relies on a large, active catalogue of hosts. They have to strike a balance between having inventory available for guests to book and keeping properties occupied often enough to make it worth their hosts’ time and effort. The problem is, Airbnb’s hosts aren’t professional hoteliers. They don’t have the hospitality experience to know how to price their listing. When Airbnb first launched, executives noticed that most hosts based their rates on what they wanted to earn instead of what their property was worth. The result? Lower income for both hosts and company. At first Airbnb designed a calculator to suggest pricing based on features and geographic locations. It was an immediate hit with hosts. The tool’s price-setting algorithm was too rigid, though. Even tiny boundary changes had to be put in manually. The company was growing too fast for that to be practical anymore. They needed a better tool, and in mid-2014 they found it: dynamic price optimization using predictive analytics. Airbnb has more than 650,000 hosts in over 191 countries. It’s most popular in the United States, France, Italy, Spain, and the United Kingdom, but travelers can find bookings in 98% of the world’s nations. 60% of Airbnb hosts view the site as supplementary income instead of a main gig. The average host is interested in building a side hustle or offsetting their mortgage payments to make a big house more affordable. 80% have only one listing: a room in their home, a guest house, or a vacation home. Hosts are split almost evenly between men and women, but the fastest growing demographic leans towards senior women. Guests seem to prefer renting from women over 50. These hosts earn more 5-star ratings, become Superhosts faster, and get more positive long reviews than the company average. Older hosts make about $8350 a year although many are only renting partial properties and guest houses. (As a note, 58% of senior hosts report they would have lost their homes after retirement without using Airbnb.) On the other side of the equation are Airbnb’s 150 million guests. Traveler demographics skew towards Millennials, who make up 60% of the company’s all-time rentals. The percentage of Millennial guests increased 120% in 2017. Guests choose Airbnb to have new experiences, to temporarily become part of a neighborhood in their vacation downtime. Most of them focus on value and space, as well. 88% of reservations are for groups of 2-4 people. Compare that to the hotel industry’s average of 1.2 guests per room and it becomes obvious that these travelers are in groups too big for easy hotel accommodations. They stay longer than hotel guests, as well. 89% of Airbnb reservations are for two or more days; 5% stretch to more than 12 days. Airbnb has a surprisingly positive impact on local economies. Because their guests stay 2.4 times longer, they spend 2.3 times more money than hotel guests. That money stays in more diverse areas of the city, and 45% of spending occurs in the local neighborhood. The benefits of Airbnb are pretty clear. Guests get better deals and more space than a hotel room offers. Hosts get extra income while supporting local businesses. However, there are factors that make profiting from the model hard for hosts. Hosts only have so much free time to manage their listings. Remember, most are using the platform as supplementary income. The majority have full time jobs and families. That doesn’t leave a lot of room for the kind of in-depth market research needed to understand rental pricing. They need tools to make property management less time-consuming. Right-pricing an Airbnb listing is complicated. There are static factors at play such as size, condition, location, proximity to transit options, amenities, and local hospitality trends. Unique property features like side gardens or unusual architecture add to the challenge. Demand changes based on the season and local events, too. Unlike large hospitality brands, Airbnb hosts don’t have market experts on staff. They don’t always know what should affect their rates or how often to update prices. This is especially true for the senior hosts preferred by travelers. Even if hosts have the time to put together a well-researched price on their own, they’re limited in how quickly they can respond to shifting conditions. When inventory falls in an area guests will book at higher rates. If the host doesn’t notice the change in time, they can’t take advantage of the more favorable market and might wind up locked into a reservation at an extreme bargain. These challenges aren’t insurmountable, but they do create an extra layer of complexity for hosts. A lack of confidence mixed with the desire to keep properties booked often led hosts to underpricing themselves for the market. This was great for travelers. However, hosts grew dissatisfied when they couldn’t reach their target annual income. Airbnb was also seeing less profit than projected. The company makes their money by adding a percentage to bookings. Hosts pay a service fee of 3% while guests are charged anywhere from 0-20% of the booking amount. Underpricing hurt Airbnb’s bottom line. In 2014 Airbnb hit on what would become one of their trademark technologies: using predictive analytics to generate optimal prices for any given day. Their AI-powered toolkit provides fluid suggestions for nightly, weekly, and monthly rates. The interface was designed with busy hosts in mind. It’s easy to read and intuitive enough to be understood without a data science degree. The probability of renting the specific space at its current price point is displayed on a color bar that shifts from green (strong rental possibility) to red (unlikely to book). Hosts can experiment with rental options to get immediate feedback on how changes affect rates. Price recommendations are viewable on a calendar stretching to Airbnb’s maximum advance booking date. Some hosts use the tool’s input as a guide. Others take advantage of Airbnb’s Smart Pricing dynamic price optimization tool. This feature automatically adjusts booking rates in response to changing conditions. Hosts can set their minimum and maximum prices to ensure they’re never stuck with a price they can’t accept. Smart Pricing can be set up on schedule. For example, a host might rely on it for weekday pricing while keeping their weekend prices fixed. Suggested prices can be adjusted individually as well. Once manually adjusted, Smart Pricing won’t change it again. The initial 2014 price optimization tool was developed over 6 months by a multidisciplinary team of project managers, designers, engineers, data scientists, and researchers. They put an incredible amount of work into the system. Users at all stages of the buying cycle were surveyed to determine how to rank features and amenities. Based on their answers, the Smart Pricing algorithm considers more than 70 factors when calculating rates. Some of these factors are static or change slowly. Other factors shift on a monthly or even daily basis. Reviews also affect bookings. Good reviews raise the suggested rate. Bad reviews might lower the price to keep the property booked and attract guests who might leave better reviews. Airbnb doesn’t have to make adjustments manually anymore. The Smart Pricing algorithm uses machine learning techniques to feed information from bookings back into itself, refining the model so new predictions are more accurate. If a property tends to sell at a higher rate than suggested, for example, it gets a boost to future estimates. The tool even behaves differently for different types of rental purposes. Hosts have the option to set their rental frequency to either “As often as possible” or “Part time”. With “as often as possible” the tool drops to the minimum price more often and is more proactive about adjusting rates. The “part time” option rarely drops bookings to the minimum price but is also less responsive to local conditions. These features aims to generate the maximum potential annual value of each property while keeping hosts happy with their income. Smart Pricing solves another problem Airbnb was struggling with: pricing in new areas where they don’t have enough data for accurate predictions. The tool creates theoretical neighborhoods based on similar real-world neighborhoods with more active rental markets. As more data is gathered the local models change to reflect specific behavior. Doing this gives Airbnb a running start to developing their host network in a new area. Pricing is one of Airbnb’s biggest draws for travelers. Using dynamic price optimization to keep properties booked at higher rates has enabled the company to win $450 million in direct annual revenue from traditional hotels. Users are up 13% from last year, too. Hosts reap the benefit of the program, too. Airbnb hosts make more on average that anyone else in the online gig economy. A typical host earns $924 a month, compared to the $380 made by users of the second most lucrative gig platform TaskRabbit. That’s nearly triple the income. Individual properties produce anywhere from $200-$10,000 month depending on location, but more than half of active hosts bring home at least $500 a month regardless of where they are. That’s astounding in context: 85% of gig workers make less than $500 a month through gigs. One North Carolina couple saw a 7% increase in their earnings after beginning to use Smart Pricing. Their property is now occupied 92% of the time, and popular dates book up to a year in advance even at favorable rates. This year the gross rental income for all hosts is predicted to pass $30 billion. Even with lowering fees to stay competitive with travel sites and hotels using their own predictive pricing, Airbnb stands to earn around $3.8 billion in 2018. One of the biggest roadblocks to adopting artificial intelligence is skepticism. The technology sometimes seems like science fiction, and executives aren’t convinced that the potential business value outweighs the risk. Airbnb is a compelling argument against this view. 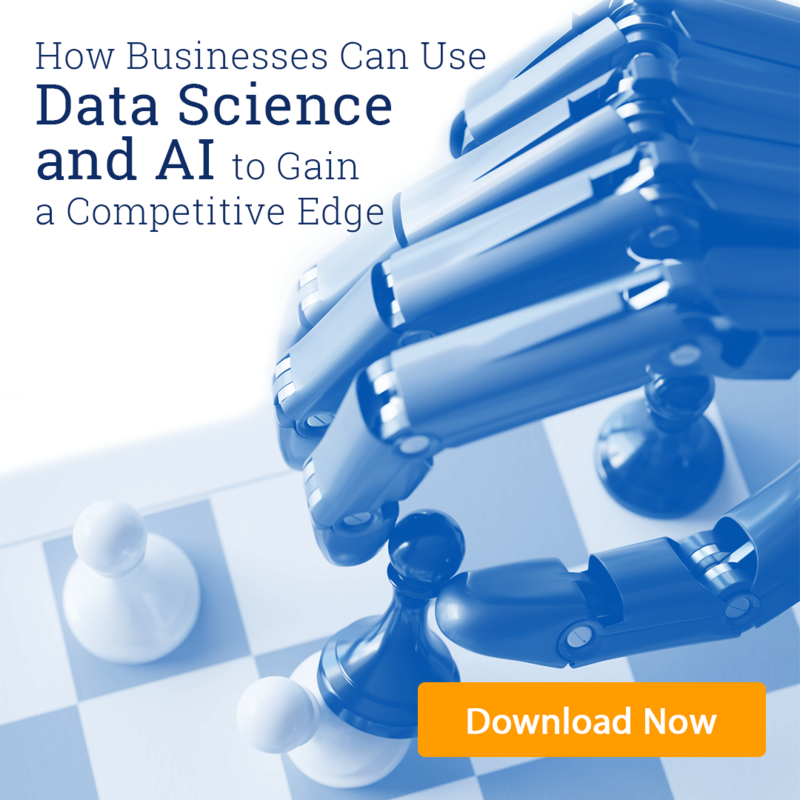 They’ve demonstrated the value of applying targeted artificial intelligence strategies to address specific business problems. That is the real strength of artificial intelligence. It’s not a cure-all or a magic wand that fixes everything. Instead, it’s a tool that- with a little executive guidance- can reduce or eliminate major pain points. For Airbnb that pain point was pricing individual properties. For another business it might be raising email open rates or trimming miles off delivery routes. Whatever the application, artificial intelligence has established itself as a functional tool for modern enterprise. Companies that want to stay viable in a global market should begin exploring how it could benefit them. They might want to think fast, though. With enterprise AI usage rising 60% over the past year, it’s a safe bet their competitors are already moving to adopt. Tools like embedded analytics make artificial intelligence accessible even to small and medium businesses, but managing multiple data streams can be a hassle. Schedule a free appointment to learn more about how Concepta’s unified analytics dashboards can make reporting a snap! Tension is building in the business world. On one side lies mounting evidence that implementing artificial intelligence can rocket a business past its competitors. On the other, executives worry their company isn’t ready for AI. Preparation is the difference between success and a wasted investment, and seeing high profile losses deters leaders from pushing forward with their own AI initiatives. That puts them at a disadvantage versus data-ready competitors. A low-stress way to resolve this tension is to pilot one of the more “entry level” AI technologies. There are several relatively simple tools which can be used to build confidence in artificial intelligence. These fears reveal a common misconception about artificial intelligence. Adopting AI doesn’t have to mean a complete overhaul of existing tools and workflows. Companies can start small and integrate gradually to grow into a process that works for them. Here are some entry-level artificial intelligence tools to get the ball rolling. Right now, virtual assistants are most regularly used in the IT department. That’s an unfortunate waste of resources. Integrating these tools into daily operations cuts down on tedious administrative tasks and improves the efficiency of interdepartmental workflows. For example, when used to plan travel or meetings, the assistant updates all relevant calendars, so everyone is on the same schedule. Since it’s likely a company already has virtual assistants available, putting them to work is mostly a matter of spreading awareness. Hold training to generate excitement and demonstrate the possibilities. Guide mid-level managers in integrating assistants into their existing workflows and make easy-to-navigate resources available for reference. Conversational interfaces make a huge difference when they’re customer-facing, too. Chatbots can handle a flood of incoming customer inquiries without making customers wait on hold. They’re available all day, even after business hours, and are unfailingly polite no matter how frustrated a customer is. Chatbots typically transfer difficult issues to a live agent, but in practice they can handle 80% of routine questions unassisted. About 45% of global internet users actually prefer a chatbot to a live representative as a first point of contact. They’re more willing to engage with bots than humans early in the purchase cycle, when they’re researching options. No-pressure information provided by a chatbot can inspire conversions down the road. As an added benefit, chatbots power future artificial intelligence ventures. The data they provide on what customers want and need feeds the sales and marketing process. There are a number of online bot builders, but those tend to be little more than toys. Security can also be an issue if the builder doesn’t understand the larger technical pictures. It’s safer- and surprisingly economical- to have a chatbot specifically built for the company website or social media page. Marketers spend as much as 35 hours a week crafting and testing emails, and for good reason. Emails and texts have high ROI potential. They’re a major driver of business with low overhead. 61% customers like to get relevant emails from brands, and artificial intelligence helps create that relevance while reducing the time humans spend on the more tedious aspects of the process. Intelligent email optimization software can generate personalized messages triggered by specific customer activities that indicate interest. They use tailored subject lines, internal content, and timing designed to catch each customer at the ideal spot in the purchase cycle. Artificial intelligence is the driving force behind the 3 year high on marketing email and text open rates. While email optimization isn’t as simple to put in place as chatbots or virtual assistants, it’s an excellent choice for the early stages of AI adoption. It can demonstrate its value clearly and relatively quickly. Take Sprint as an example. Sprint began using artificial intelligence to guide their text interactions with customers. With targeted, relevant messages the company was able to reduce the number of texts sent to customers while improving base SMS marketing returns more than six times over. Most importantly, have executives lead by example with these early tools. High adoption rates are a huge part of making any tech project work. If leaders show commitment to the artificial intelligence tools, their enthusiasm could make the difference between success and failure. Ready to explore how artificial intelligence can benefit your enterprise? Set up a free appointment with one of Concepta’s developers to find out what your options are! Artificial intelligence is expanding the hospitality industry’s ability to provide customized service on a large scale. That’s a major competitive edge in a market where customer experience is emerging as the key brand differentiator for guests. Artificial intelligence does more than power robots. It helps provide superior service throughout the booking process and even during a guest’s stay. When Hilton and IBM announced the first Watson-enabled robot concierge two years ago, some critics dismissed “Connie” as a publicity stunt. As time goes by, though, Connie seems less like a gimmick and more like a bellwether. With the rise of the internet price and relative quality play a much smaller role in consumer purchasing decisions. Unless there’s a huge local event customers feel confident of finding a comparable room at a similar price within a reasonable distance. The new key motivator for hotel guests is customer experience. A few dollars either way is seen as less important than a smooth, enjoyable stay. This might not sound like anything new to hoteliers. Customer service doesn’t mean what it used to, though. The world is more connected than ever, with consumers interacting with brands on a personal level through social media platforms. This shifts their expectations of customer service- especially in the hospitality industry – closer to the treatment they expect from an acquaintance or someone they know in real life. It’s no longer good enough for businesses to be polite, prompt, and competent. They also need to make the customer feel personally recognized and welcome, to remember preferences and set them up without guests having to ask. Statistics back up the importance of tailored guest services. 76% of consumers think customer service is the best measure of how much a company values their business. More than half of customers will pay more for better service. On the flip side, 7 out of 10 people will stop patronizing a business if they feel the company is indifferent to them. Last year 56% of Millennials moved away from businesses they’d previously been loyal to after a bad customer experience. The change in customer expectations goes even farther than that. While customers want personalized service, they also consider the ability to self-serve part of a good customer experience. This generation prides itself on being tech savvy and enjoys being able to manipulate their surroundings to their exact comfort levels. 73% of guests want to be able to solve minor problems on their own without having to talk to a clerk. The trend is especially common in hospitality when people may be “in for the night” and don’t want to get dressed or deal with people. Humorously, a 2015 study found that a third of customers would rather clean a toilet than get dressed and walk downstairs to talk to a concierge in person. These trends combined create a strangely contradictory situation. Guests want personalized service and to have help available when needed, but in daily practice want to be able to do most things for themselves. AI is making great strides in bridging the gap between a guest’s expectation of personalized interactions and the desire for self-service. Two primary tools show special promise for the hospitality industry: virtual assistants and guest services apps. Connie’s physical presence is a fun draw for guests, but virtual assistants cover more digital territory. Virtual assistants are a type of chatbot which can serve guests both in and outside hotels at any stage of the process. They’re faster and more economical to deploy than tangible robots, and they are available anywhere a customer has internet access. Advances in Natural Language Processing enable virtual assistants to understand normal, unformatted questions with a high rate of accuracy, especially when restricted to one domain (like hospitality). They can supply technical support, find information about hotels or nearby amenities, change reservations, update profiles, handle customer complaints, and more. Virtual assistants are on duty 24/7 and never have bad days. They are always focused on the guest’s needs and aren’t bothered by stressed customers. Virtual assistants and chatbots aren’t just a tool for huge multinational hotel brands. Concierge apps are within reach even for smaller or local chains. The Edwardian Hotels, a British group with 13 properties, launched their virtual host “Edward” in 2016. Edward provides hotel amenities, directions and tips. Guests find it easier to complain to Edward or bring up problems which living staff can then address. It speaks to the maturity of AI that around 90% of users think Edward is a living employee. Using a mobile app to engage with guests is right in line with the growing BYOD trend. From a business standpoint hotels save the expense of supplying in-room devices to control services. From the customer service side, guests can use their own favorite devices while still taking advantage of the hotel’s artificial intelligence services. Those artificial intelligence services get a boost from mobile apps, too. Mobile apps track customer data and combine it with data from the main company website, landing pages, and competitors. Analyzing the data lets the hotel’s AI translate its insights into intuitive customer service. The result is a seamless mobile experience for guests and more opportunities for hotels to provide amazing service. AI-powered recommendation engines can look over a guest’s purchase history, location preferences, customer profile, and other data sources and make suggestions to improve their visit. Suggestions might come before their stay (like displaying favorite hotel locations and custom rates when a flight is purchased) or during the stay (such as finding restaurants of a preferred type or adjusting temperature controls when a guest checks in). Guests can potentially connect their app with related apps such as airline loyalty programs and vacation clubs for even more personalized service. To see what does artificial intelligence can look like in practice, let’s track a stay from booking to departure. A potential customer visits the hotel’s website. They aren’t sure which location to choose, so they access the hotel’s virtual assistant. Using any available data supplied by the customer or their guest profile, the assistant finds chain locations which fit their preferred criteria. Once a location is selected, an intelligent price optimization system can evaluate the customer to offer the price that best meets their needs while still being profitable. If that price doesn’t work, the assistant can find other suitable locations with the desired amenities which may work better for the guest. More options are available for existing customers with the hotel’s app. When they book a flight through a connected service, the app generates a list of suitable locations nearby with availability and sends it with a push notification. It’s based on the customer’s profile and preferences, so the guest knows the hotels will meet their needs. Customers can book as easily as tapping their desired location. In both cases, the app uses available data to suggest methods of transportation to the hotel, whether it’s a shuttle, a taxi, or a ride share. As customers use the app, it can learn their preferences and prioritize those suggestions the next time. When problems do arise a chatbot resolves them around the clock. Customers can thus make adjustments before an early flight or find last-minute reservations after business hours. Hotel apps can power check-in and even unlock doors, but AI adds a whole new dimension of customized services. By analyzing a guest’s purchase history, it suggests services the guest is likely to want. These range from local dinner options near the guest’s preferred dinner time to open spa times for customers who normally visit it during their stay. Analyzing location preferences lets the AI interact with Google Maps or other programs to suggest tourist attractions and restaurants nearby. Recommendations are made based on data the guest shares with the app, so guests who enable location can discover events or local hotspots they might have missed otherwise. On a physical level, AI can weigh current weather reports and the user’s climate control preferences and automatically adjust a room as soon as it’s assigned. By the time the guest arrives from downstairs, the temperature is right at their comfort level. If a customer has an early flight, AI can offer a breakfast menu and schedule delivery along with a wake-up call. It provides a tailored list of transportation options for those who didn’t drive. When a guest has questions about billing, services, or other issues the AI serves as a first point of customer service contact. Once the customer leaves, the data gathered during their stay is used to adjust their guest profile. This leads to better service when they return. Eliminating bottlenecks to ensure data gets to the people or services who need it. Companies should make sure their AI that was trained on location-relevant datasets. Feeding an American app Chinese data will result in poor service, for example, since cultural differences could mislead the algorithms. Information security must be emphasized, as well. The enormous amounts of data that needs to be collected on customers in order to provide this level of service imposes a serious responsibility on hotels. They must be absolutely sure to follow industry best practices for security (such as encryption, careful monitoring of third-party usage, and full transparency regarding data usage). Good security puts customers’ minds at ease and will encourage them to use the AI-powered services. Hotels are in the hospitality business, not the software development business. Rather than lose focus from their core competencies to design an AI, it’s better to build on existing products in the beginning. Several major software companies already have viable chatbots and virtual assistants; integrating those into an intelligent guest services platform both saves money and creates a seamless customer experience for guests who already use those tools. Partner with specialized software and data-driven companies to find the best technological fit. Be open to advice on readiness of the data infrastructure and which features to implement first. Leveraging a reputable software developer’s experience is the surest path towards a smooth adoption of artificial intelligence. Are you providing the experience your guests expect? Sit down with one of Concepta’s experienced developers for a complimentary look at where your company is, where it’s going, and what tools will get you there.